Emma Murphy ~ The Resilient Rider | Master your Mind so your Mind Doesn't Master you! What are we really communicating to our horse? A BHS Accredited Professional Coach, UKCC Level II equestrian coach, NLP, Optimise coach and Resilience Coach. Emma has also achieved qualifications in Positive Psychology , Equine Psychology, Equine Physiology, Dialectical Behaviour Therapy and equine massage. This knowledge combined with her intuitive, adaptive manner, enables Emma to bring out the best in a horse and rider, no matter what their level of experience. Emma is an International coach, training riders from France, Germany, Finland, and Canada as well as the UK. Emma, with her partner Martin Murphy, has co- developed and written programmes such as ‘Mindful Mastery’ and the ‘Complete Rider Confidence System’ and others which are sold as on-line books and diploma courses. 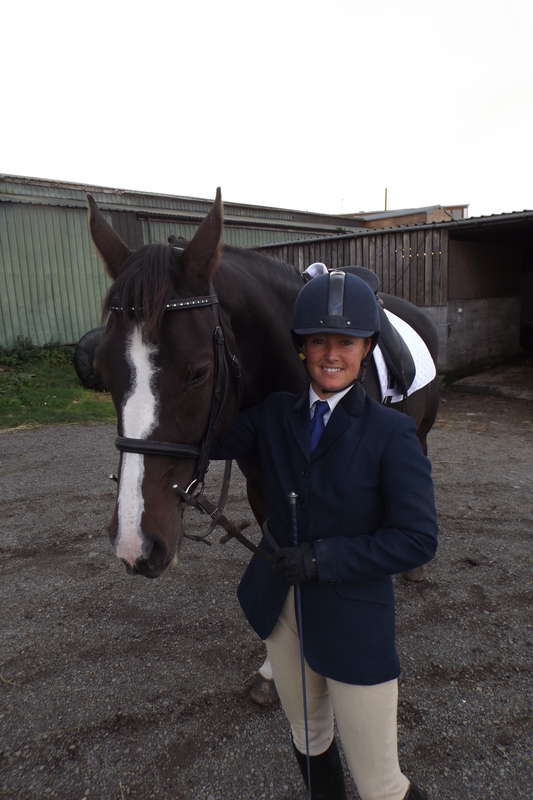 Utilising modern and traditional methods of teaching, Emma can bring a new perspective to riding and help riders gain confidence and find their ‘peak performance’ zone. She also worked for several years on a stud yard with stallions, mares and foals, training the youngstock for sale or competition whilst helping run a saddlery and giving advice to customers. Emma has trained and competed all her own horses from youngstock with many being sold to top yards around the country and abroad. Emma believes every horse is individual, having it’s own personality and way of learning, therefore it’s important to be able to communicate with and understand each horse on their terms. This allows the horse to learn at their own pace in a way that avoids confrontation. This understanding is then passed on to the rider, giving them a new connection with their horse. With Emma’s background in rider psychology, she will help you Master your mind so your mind doesn’t master you! This helps riders to learn techniques to control thoughts and emotions, build greater self-awareness, confidence, and decrease stress. A calmer rider leads to a calmer, more confident horse. Emma runs regular clinics around the country in all disciplines, see ‘what’s on’ near you. Just watched some of your clinics at eland lodge on you tube, really enjoyed what you helped riders achieved! Master your Mind so your Mind Doesn't Master you!